Speed : 1 to 14 Kmph. Motor: DC Motor, 2.0 HP continuous, 4 HP peak, digital concepts P.W.M. control. - Maximum Watt: 350 Watts, extendable to 600 watts. - Resistance Level: 16 Levels. - Resistance System: Electro-Magnetic resistance. 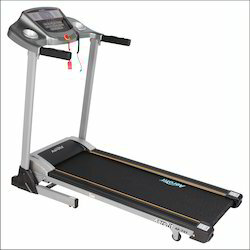 - The Aerofit Treadmills affords you a top quality workout Aerofit treadmills are built to perform to the scrutinizing standards of health club equipment. - Dimension : 52 (L) X 24 (W) X 58 (H). - Maximum watt : 300 Watt. - Resistance level : 20 Levels. - Resistance System : Electro-Magnetic resistance. Pulley is placed at such that the exercise, perhaps, performed in front or behind the head comfortably. Thigh pad adjustment moves up/down to make ideal seating arrangement for a comfortable and effective workout. 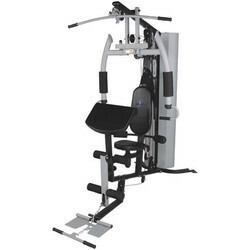 Dual strap grips and pull down bar can be used for isolateral & bilateral movement respectively. The jerai lat pull down provides weight stack upto 200 lbs.